The Eastern Pennsylvania Congregational Fellowship is an association of churches, pastors, missionaries, chaplains and other ministers that have found a common home in the Conservative Congregational Christian Conference. We serve locally in Eastern Pennsylvania and greater Philadelphia. We are theologically conservative, Christ-centered and ministry-oriented. We come from many different backgrounds, but have a beautiful unity in Christ. Our Conference is a credentialing body. We endorse military chaplains. We commission missionaries and other Christian workers. Area Representative, Rev. Dr. David W. McKinley: Phone: 610-584-4480 or email: dmckinley@cscfamily.org. Our next meeting will be in Monday, May 16 at 11 a.m. at the Franconia Heritage Restaurant located at the corner of Allentown Road and Route 113 in Franconia, PA. Lunch will follow, Dutch treat. Please RSVP Dr. Sharon Anderson at sla175@aol.com. 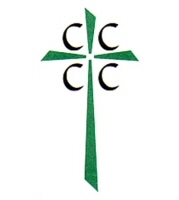 To find out more about the Conservative Congregational Christian Conference, visit http://www.ccccusa.com.